The Time Jumpers is an assemblage of highly-talented country session musicians that started jamming together and have now become the “show that stars go to see” on Monday nights in Nashville. Always a popular attraction on Music Row, many of country’s biggest stars began dropping in to play some songs with the band. The Time Jumpers currently features Vince Gill, Kenny Sears, and Ranger Doug Green. The Time Jumpers’ first album, “Jumpin’ Time” was nominated for two Grammy awards, Best Country Performance By A Duo Or Group With Vocals for the song “Sweet Memories” and Best Country Instrumental Performance for “Fidoodlin'”. 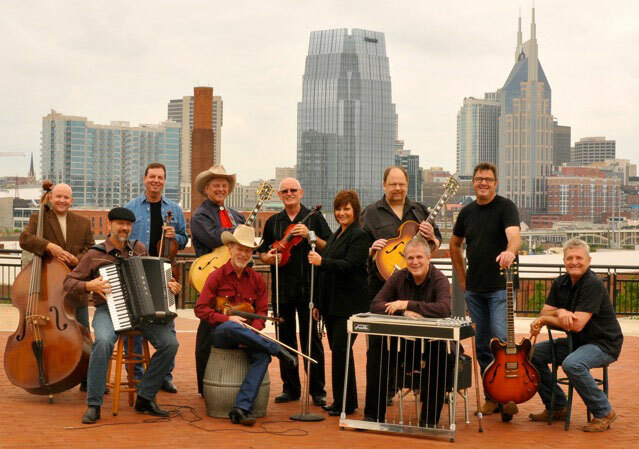 In 2012, the group recorded the album entitled The Time Jumpers. They were nominated for two Grammy awards, Best Country Performance By A Duo Or Group With Vocals for the song “On The Outskirts of Town” and Best Country Album for “The Time Jumpers”.